Your child will be bringing a letter home today with their username and password for TT Rockstars. You can access the games via the internet or download the app from the App store or from Google play. Children can log on and play the games linked to their times tables. We will also be using the app in school. The aim is for the children to become more confident and therefore quicker at answering their times table questions. TT Rock Stars - click here to access the website on a computer or tablet. What Maths looks like at Holy Trinity. We aim to make all our maths lessons as interactive and exciting as possible. 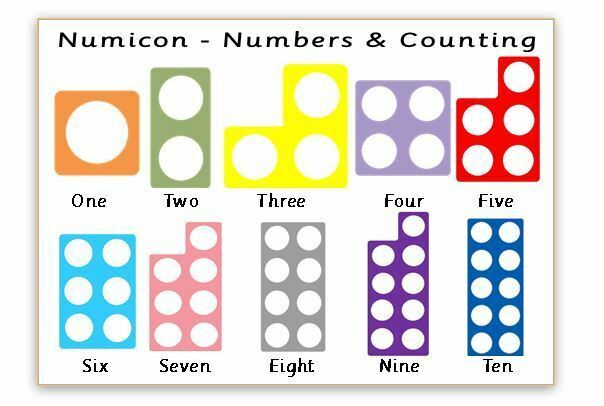 All the children are able to use resources such as: numicon, multi-link cubes, number rods, number lines and counters to help them understand the maths they are learning. The lessons begin with an intervention session where children will either: practice a skill with the teacher, undertake questions to consolidate a skill or complete a mastery based question which will deepen their understanding. The main part of the lesson is split between teacher-led activities, whiteboard activities and group work. The children are exposed to lots of examples and worked through questions using the resources to help them. Once the children are confident with the maths they have been learning, they will independently apply their knowledge in their practice books. Homework is usually a consolidation of what they have been learning about in class. If you have any questions about what the children are learning, please do not hesitate to contact the class teacher or myself via the school office. Year 5 have now started their Inspire Maths journey...We hope they will enjoy it! From September 2016, the school will be introducing Singapore Maths in Year 1, 2, 3 and 4. Although not all current year groups will not access this curriculum scheme in its entirety, the approaches and applications from this scheme will be transferred across all the year groups in the school to ensure all pupils benefit from this new approach. Year 5 will start the scheme in 2017 and Year 6 will start in 2018. It was chosen as it will be a whole-school primary maths programme that will provide everything we need to support an approach to teaching and learning mathematics which is greater in depth and meets the higher expectations of the 2014 National Curriculum. Inspire Maths is a transformational, whole-school approach, to raising pupils’ achievement in maths. The programme of resources is built upon the internationally acclaimed approach to teaching mathematics in Singapore. Published by Oxford University Press it is based on the leading Singapore Maths series ‘My Pals are Here’, used in 100% of Singapore's state primary schools. Inspire Maths uses accessible individual pupil textbooks (one copy for each child) which introduce concepts in a highly scaffolded way, enabling all our children to develop critical thinking skills, make mathematical connections and become confident mathematicians. Inspire Maths builds firm foundations and a deep understanding of mathematical concepts through a concrete-pictorial-abstract approach. At the end of each unit of work the teacher will use class work to assess each child. It is exciting times here at Holy Trinity and we look forward to observing how Inspire Maths works with our children and measuring the impact of it as they move through the school. It is so important that all children know their times tables. It will help them in all areas of maths, from fractions and decimals to division and ratio! Take a look at the Inspire Maths brochure that shows you a brief look inside the pupil textbook, the pupil practice book and the assessment book. This is the National Curriculum document for Maths.